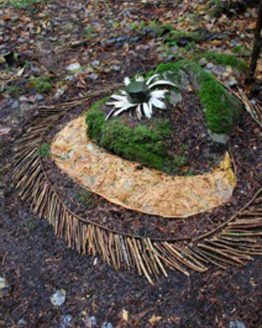 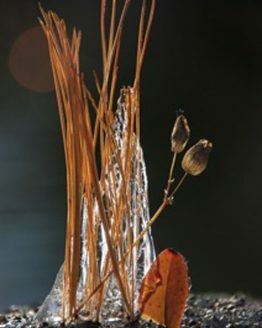 Land art can simply be about playing with various natural elements, working with their natural properties and creating pieces with them. 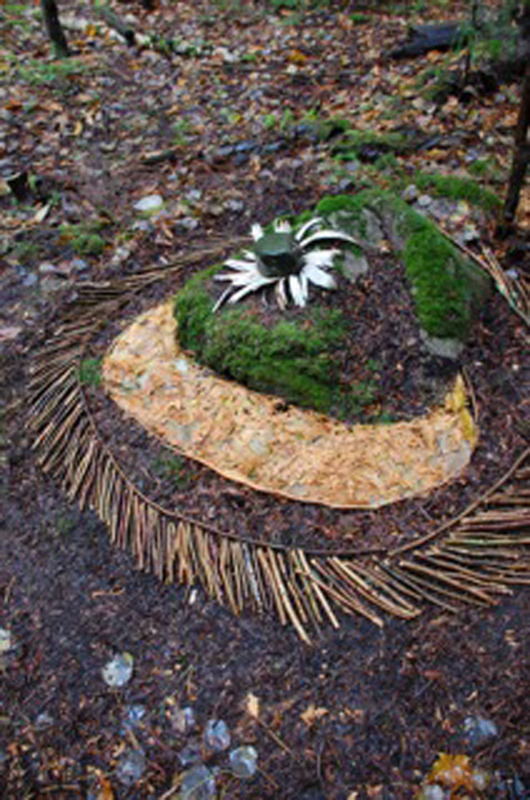 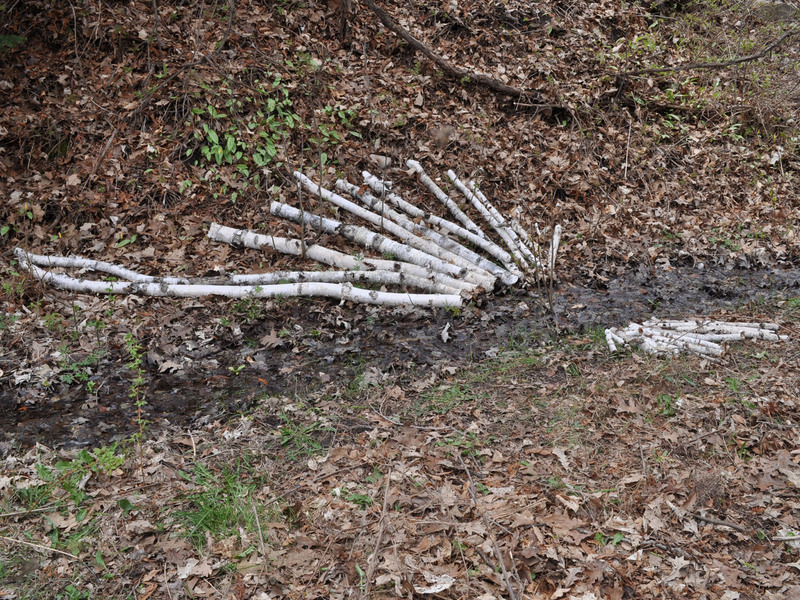 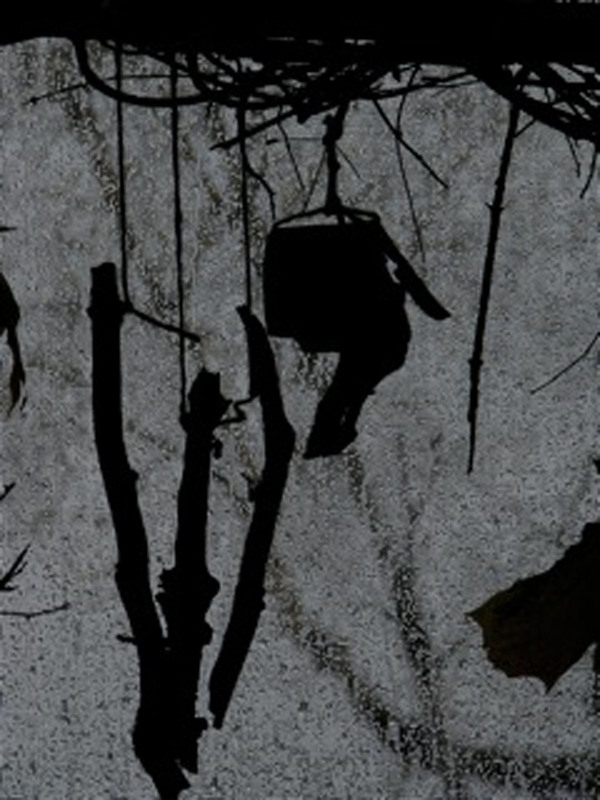 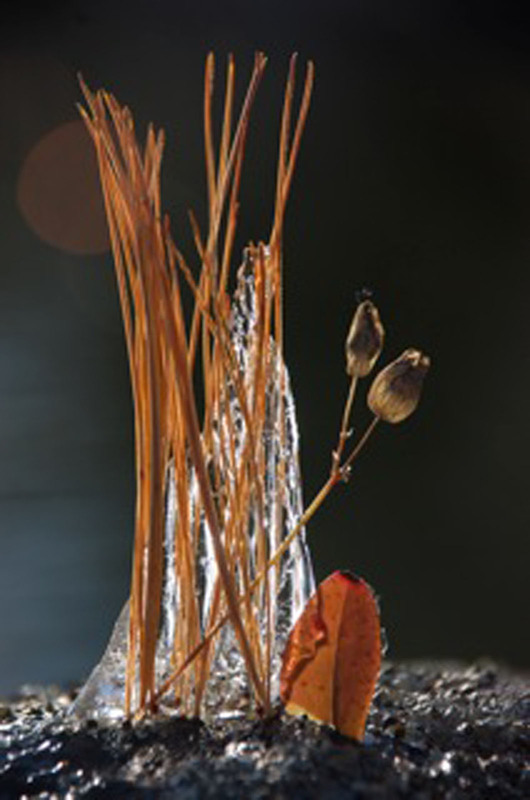 Other Land Art pieces communicate an idea, or work with a message or theme. 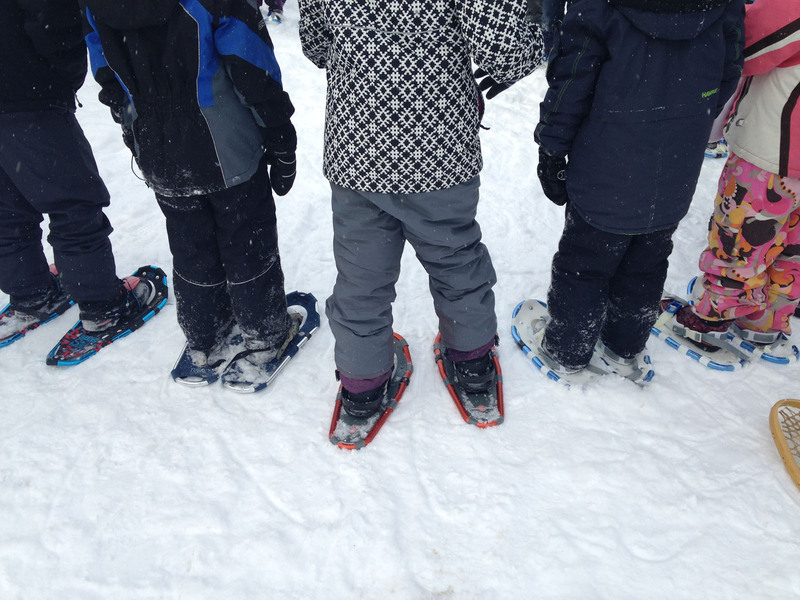 It is minus 25 celsius, and the students are having a blast. 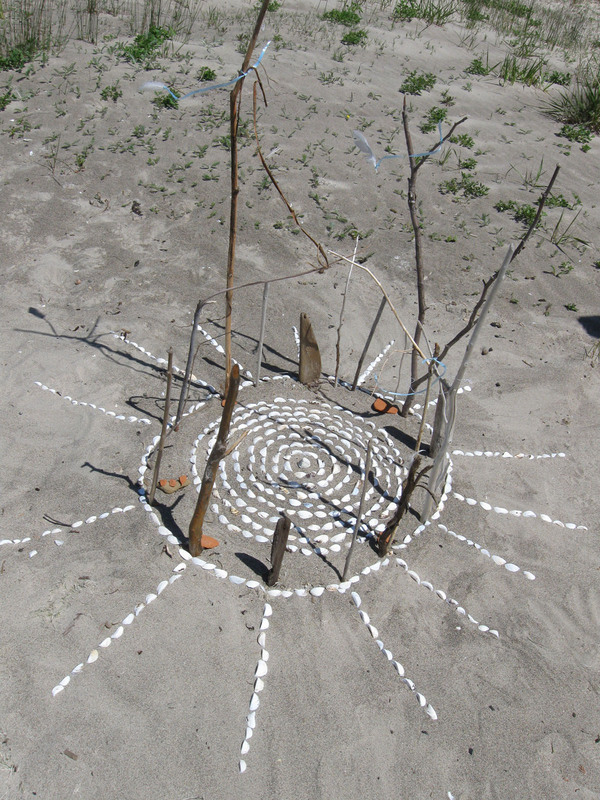 We’ved challenged small teams to create a piece of land art that is suspended and doesn’t touch the ground. 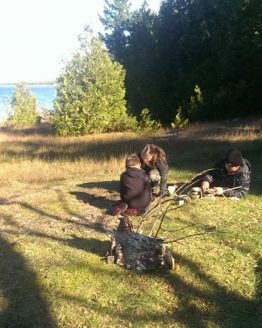 A group of boys beam as they explain how they’ve responded to the challenge and their strategies for creating their work. 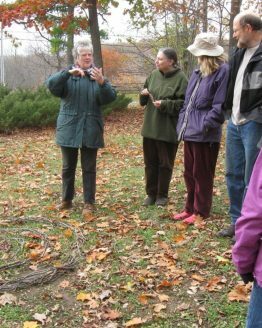 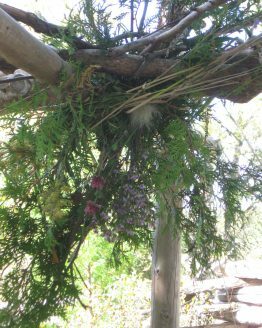 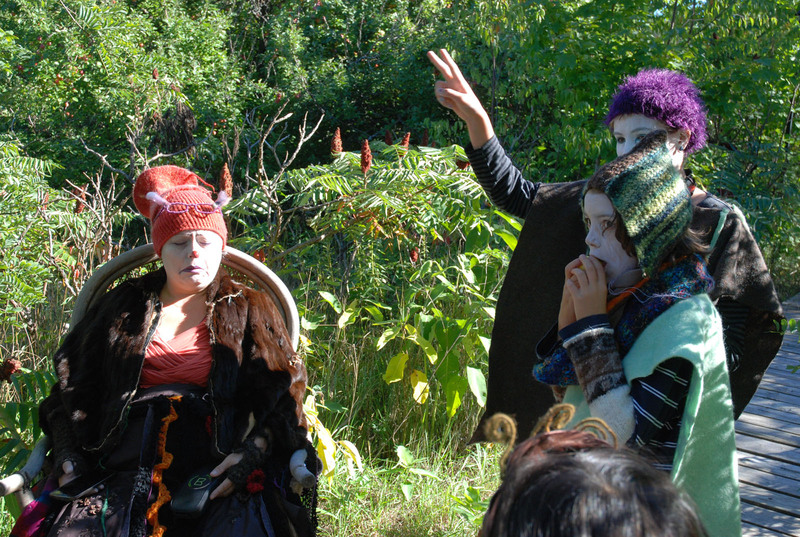 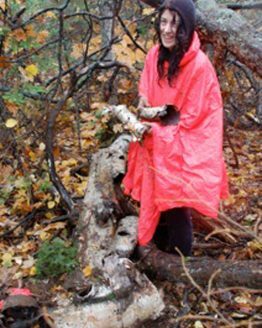 Since about 2005, 4elements Living Arts has been inviting community members, school groups, and workshop participants to join us in different ecosystems, in different seasons throughout Manitoulin Island. 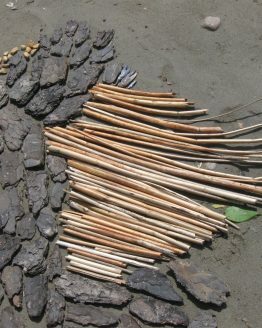 We play with sticks, and stones. 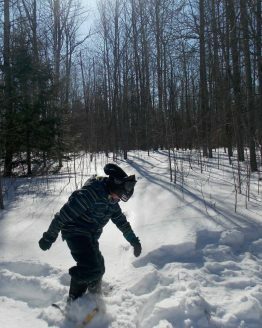 And we get to them by walking, snowshoeing, cycling and paddling.  It is deceptively simple. 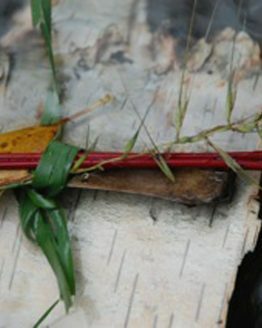 But what we learn, and what happens in our short session and over time is not. 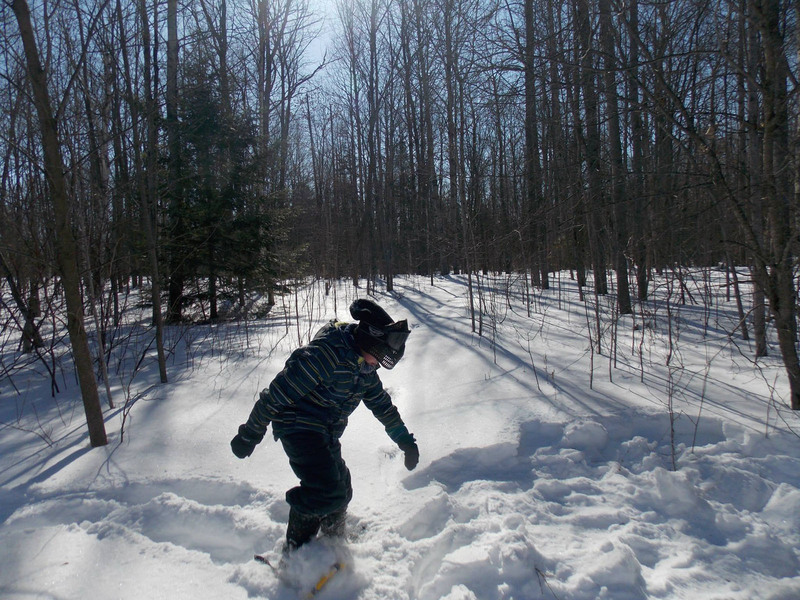 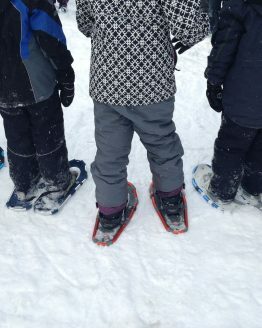 Many participants have never been on snowshoes before. 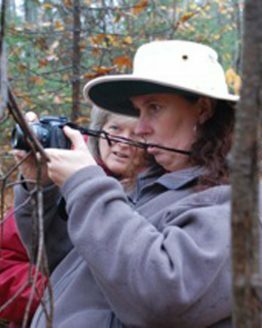 We’ve had many thanks from older adults who’ve done something on their bucket list, and they tell us that they wouldn’t have gone to that location or on a hike without either the creative engagement or the social support that comes from going with a group. 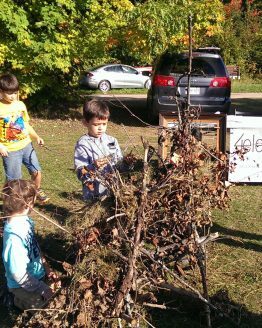 The students from Sheshegewaning First Nation showed off their community and the lovely trail there to their peers from Gore Bay. 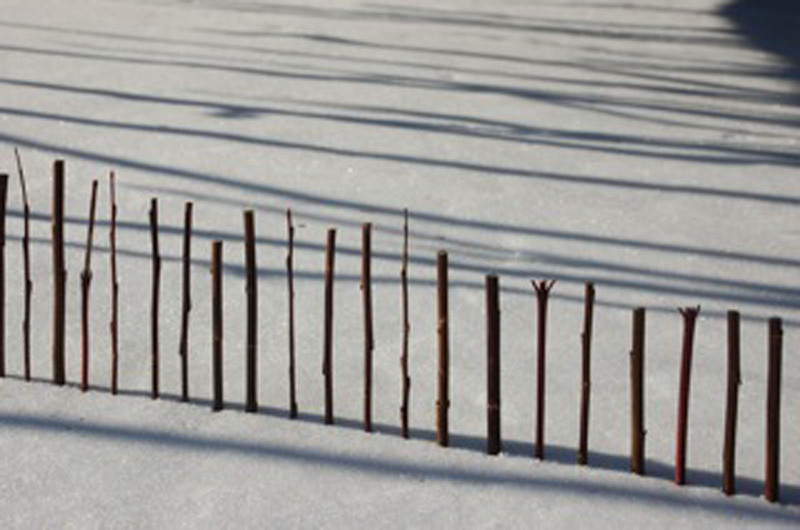 We were hosted in the Community Hall by the Band’s youth co-ordinator where we had hot chocolate and warmed up after our snowshoeing and land art. 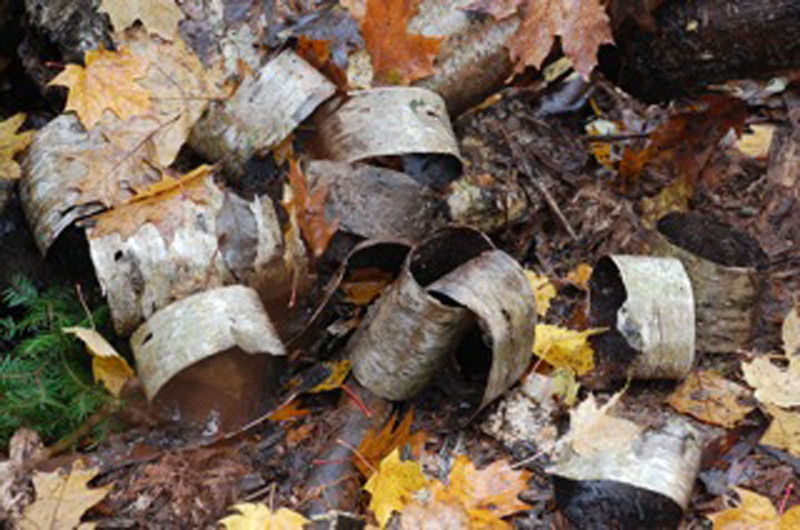 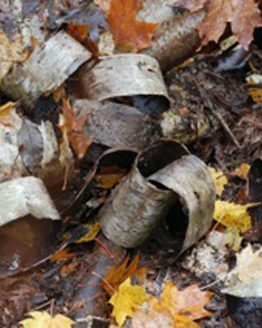 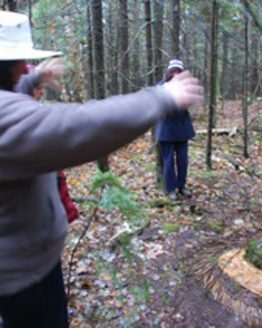 Another outing to that community’s sugar bush introduced students to two different sugaring set-ups; local youth were again proud to show off their community and demonstrate the hard work done by community members. 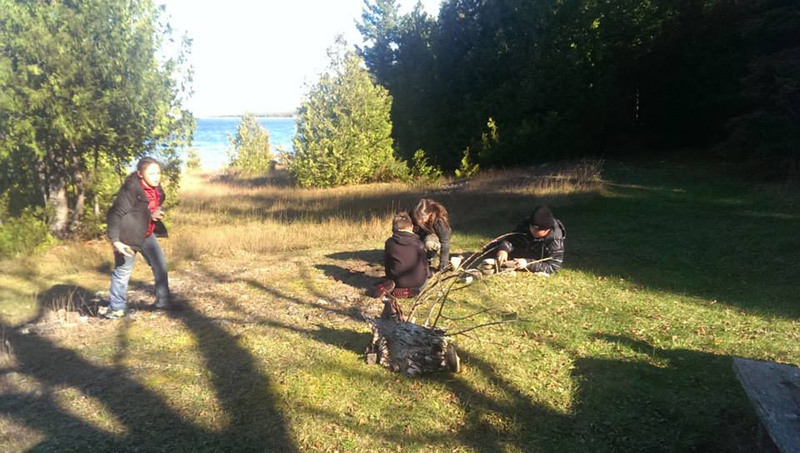 Elders told stories about sugaring, traditional customs and the community. 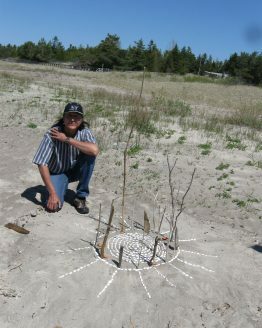 Being there, and the inevitable conversations on the bus ride home presented opportunities to broaden students’ and teachers’ views, and to challenge stereotypes and fears about First Nation communities. 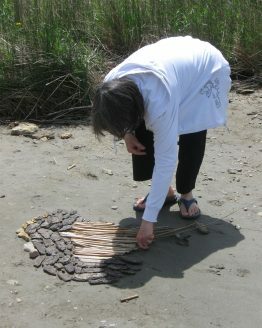 Like all of our other land art outings, this one helps build social and community relationships. 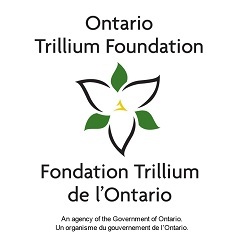 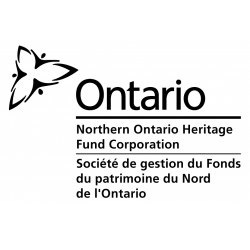 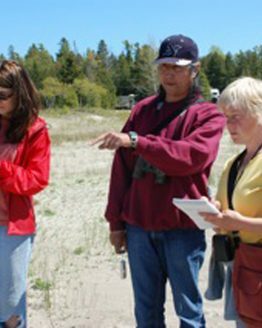 Despite Manitoulin being 50% First Nations folks, and with six First Nations communities, many settler folks have never been on a reserve, except to drive through the ones that are on the main highways. 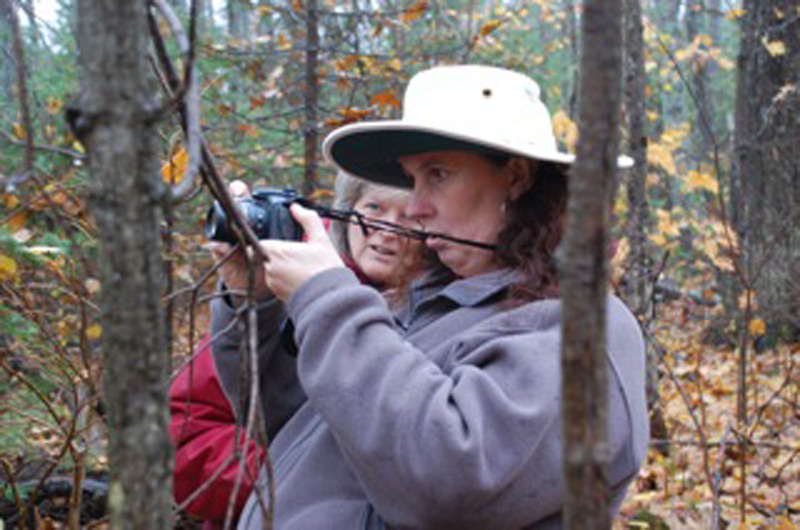 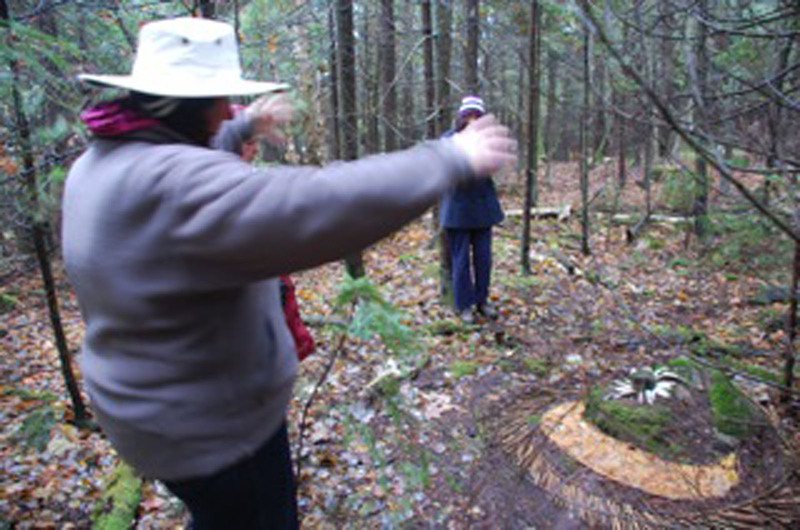 Many people have not been to the trails, ecosystems or communities we take them to on 4elements’ outings. 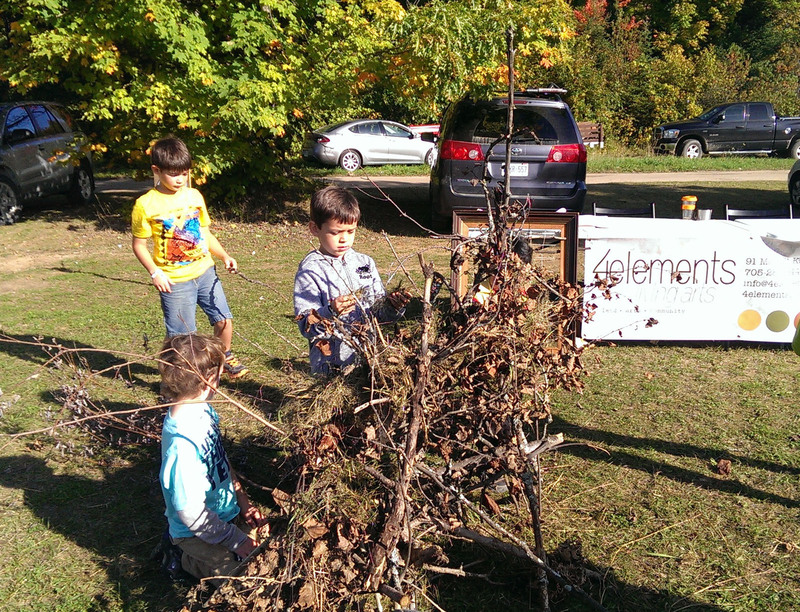 People are learning about the land, those ecosystems and how they change in the seasons and over time. 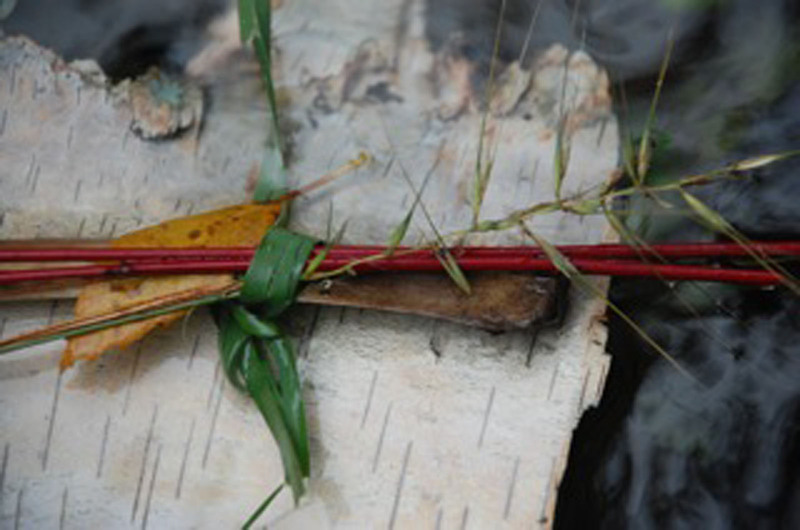 Playing with sticks, stones, leaves, grasses, sedges, sand, pebbles and other natural materials teaches us many things. 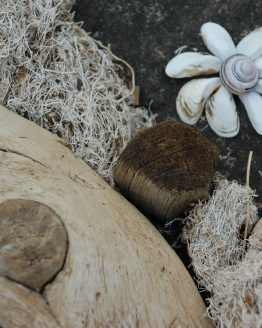 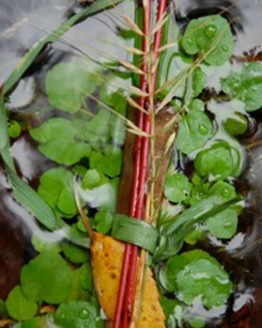 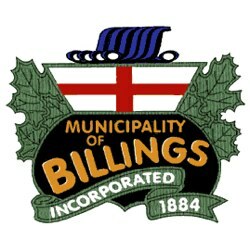 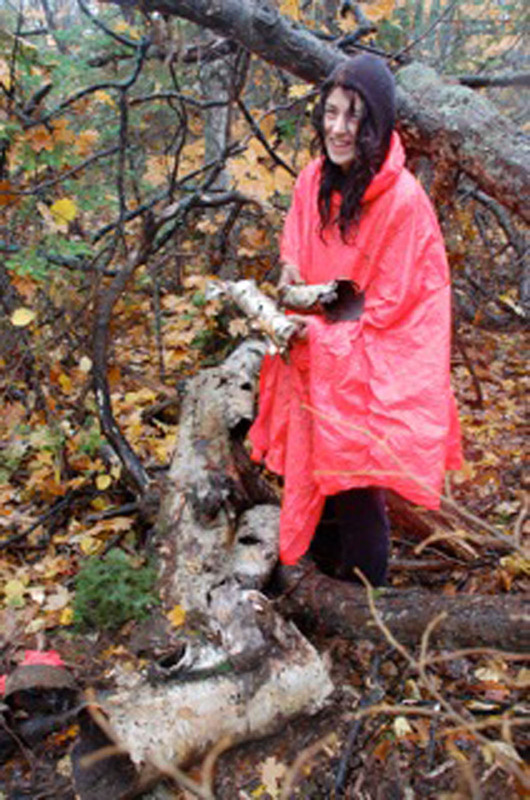 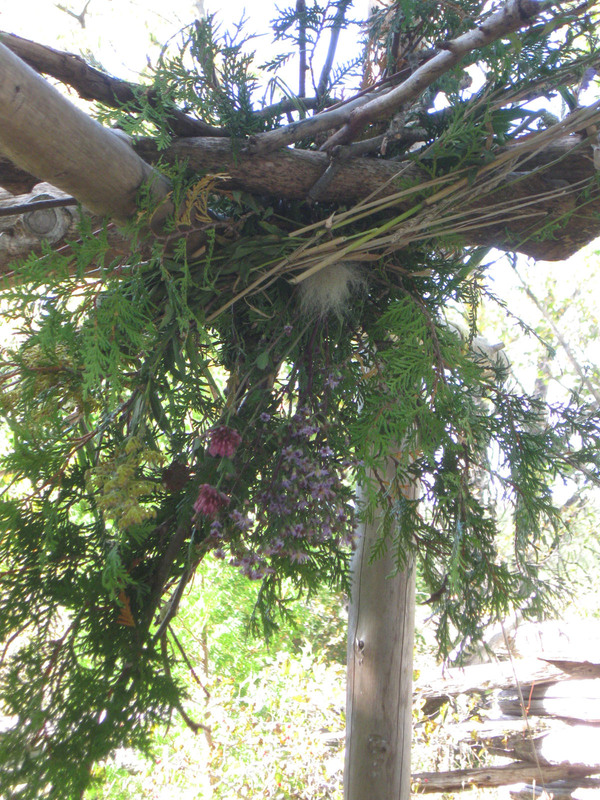 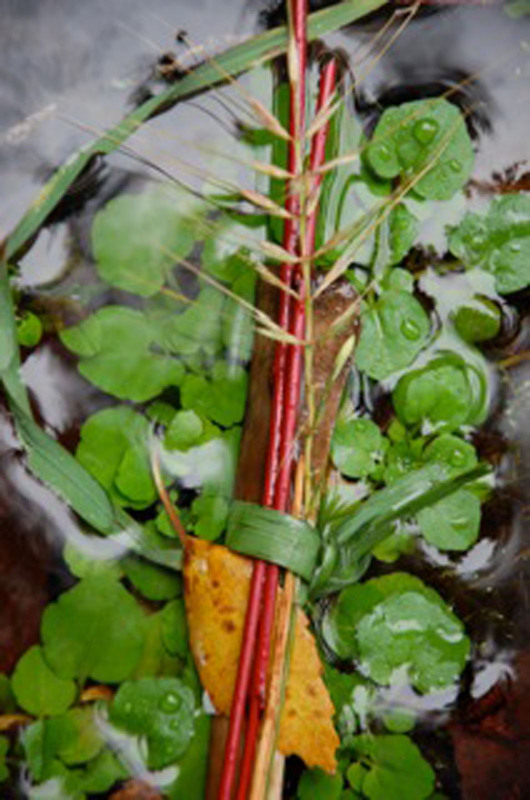 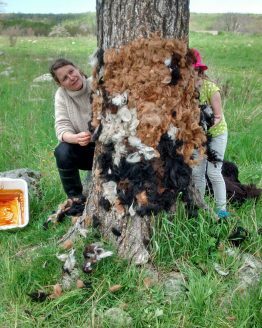 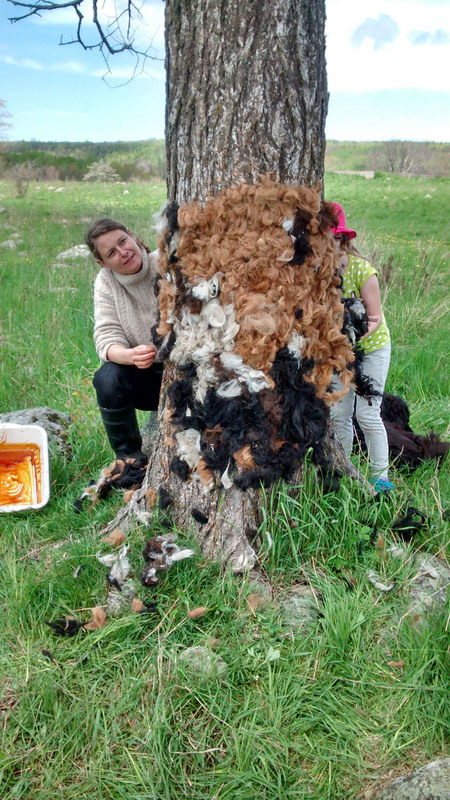 We teach about respecting nature, Mother Earth, the planet and about harvesting materials gently and respectfully. 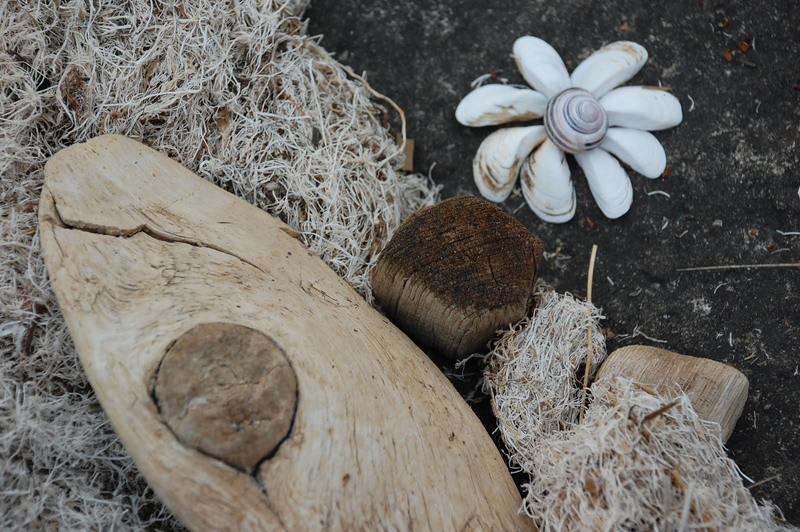 We observe where materials are found, where they grow, and how they grow. 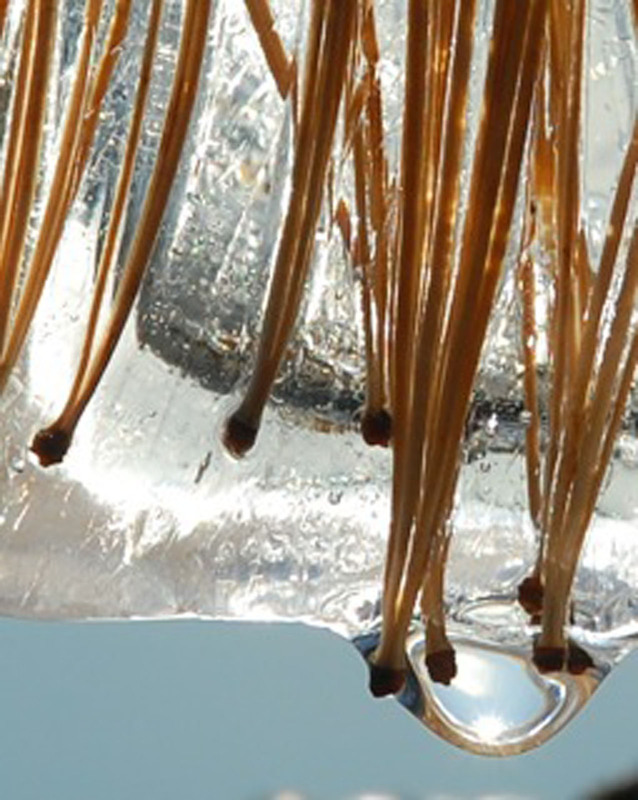 We ask questions about why does something bend, or not bend. 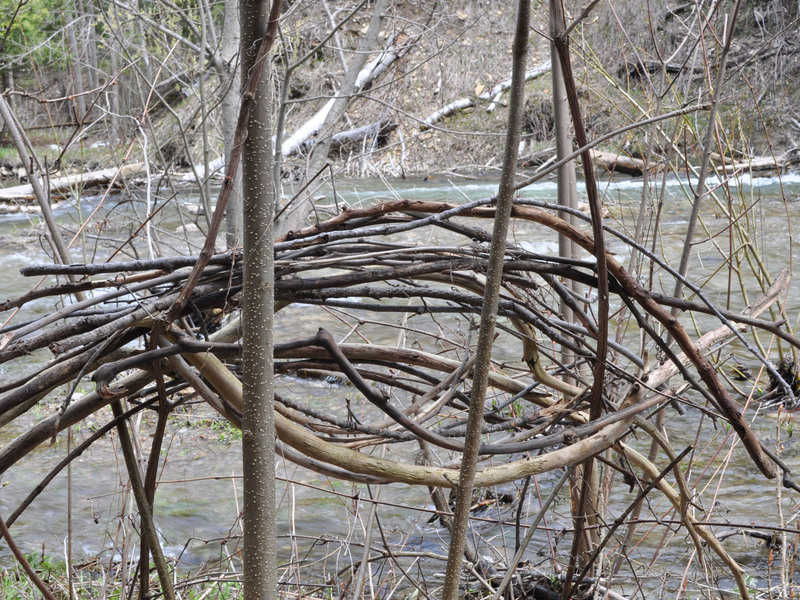 Does it bend differently in different seasons, or at different stages of its growth (or dying). 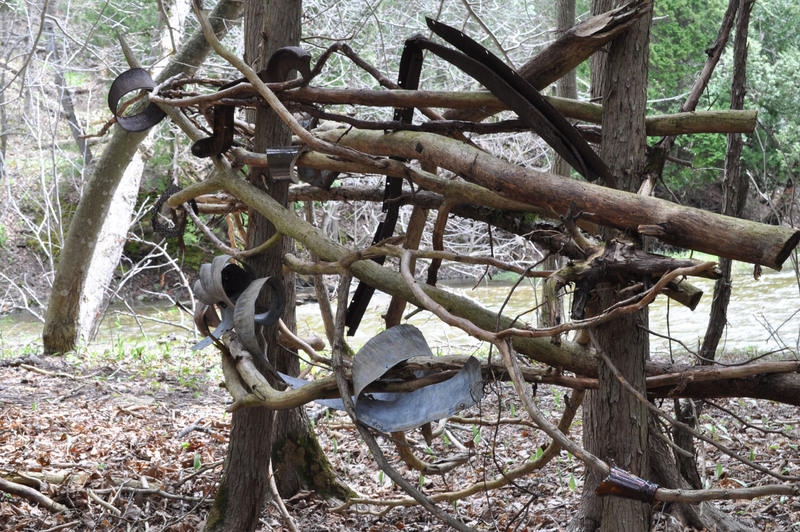 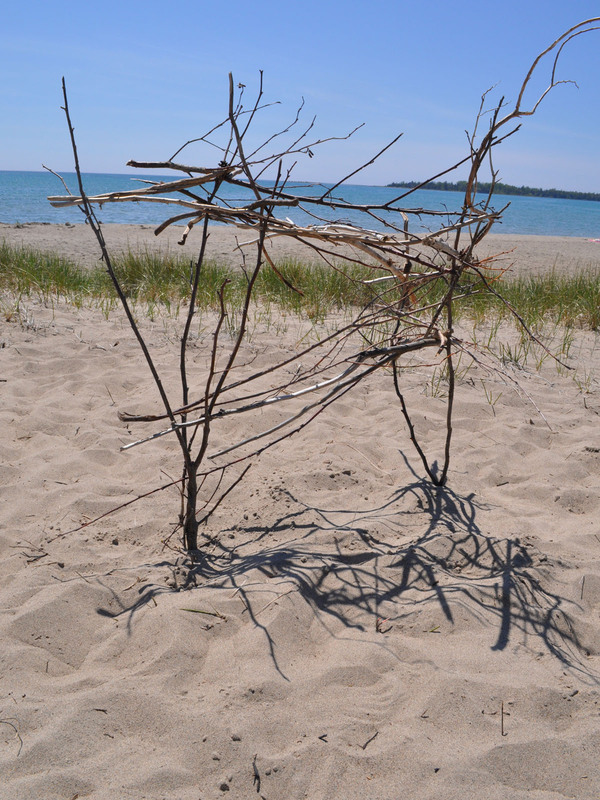 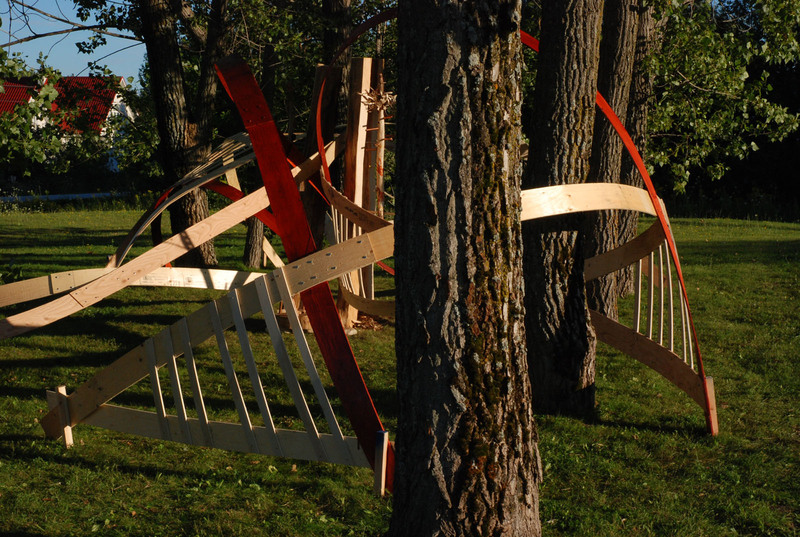 Sometimes the land art challenge presented is to build something that will move in the wind. 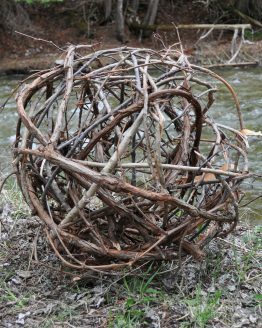 Or to create something that will change over time. 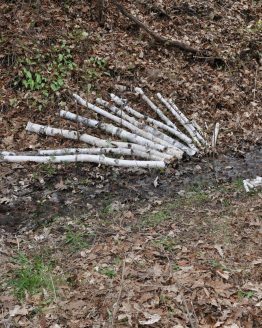 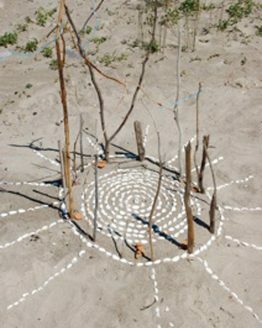 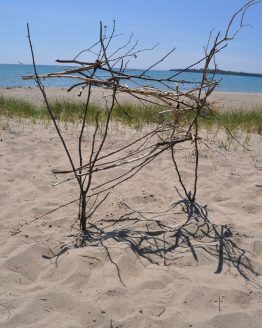 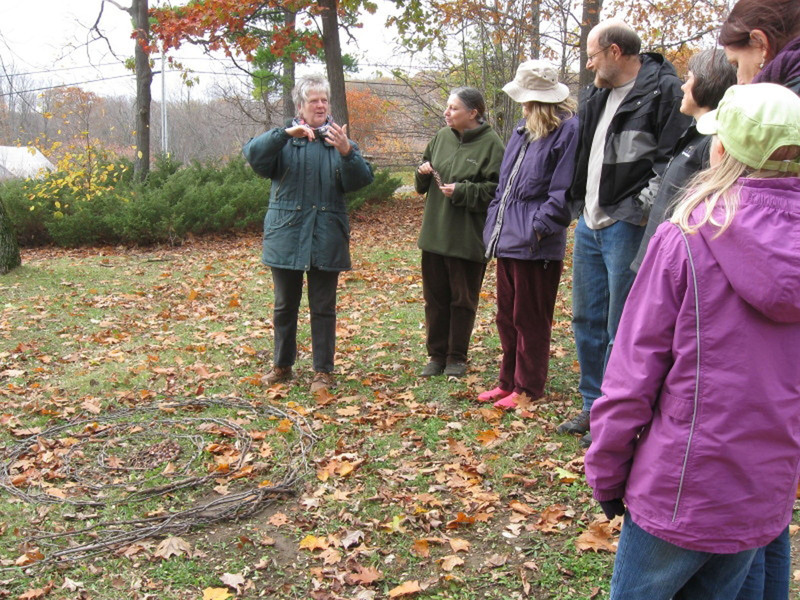 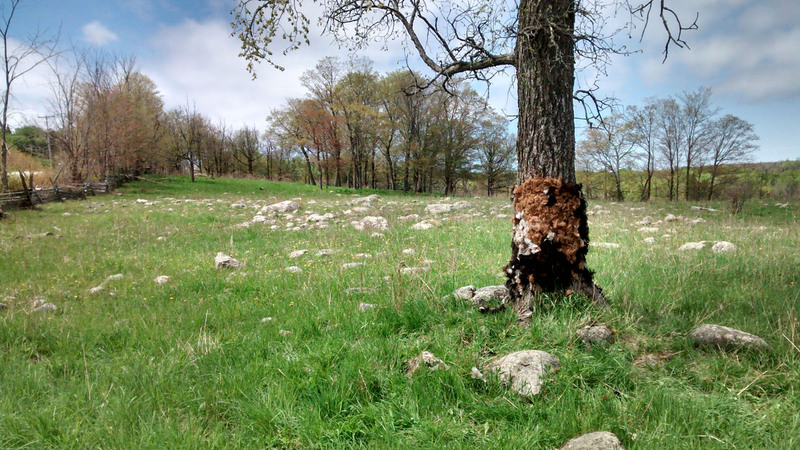 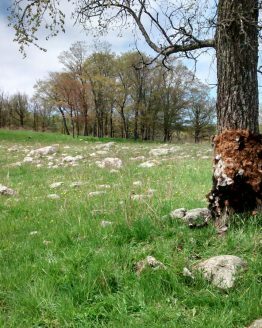 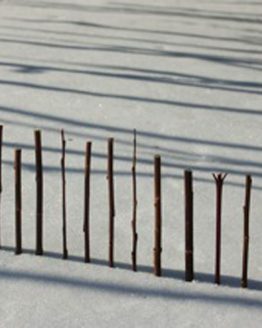 By exploring the practice of land art, participants learn about the process of the natural world where things, like the art they make, will constantly change: wind and sun, animals and weather. 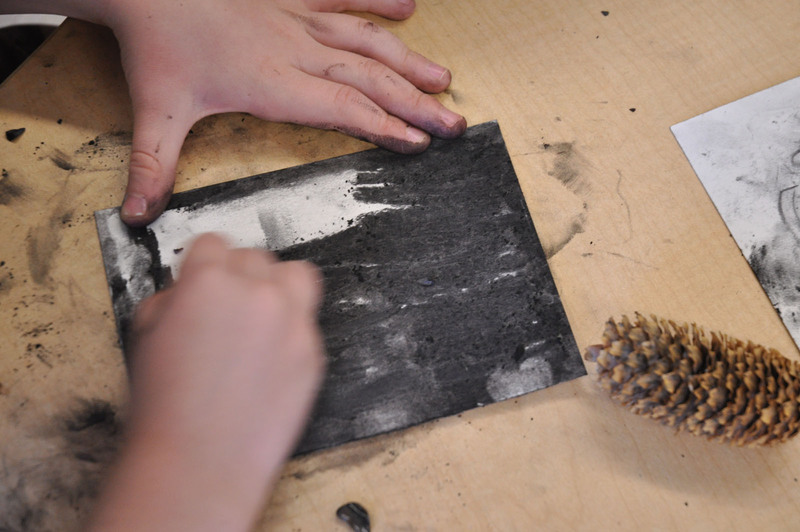 They learn about art, of course, and we build their art vocabulary by bringing attention to what they do, and asking how they can consider form, materials, balance, rhythm, shape, scale. 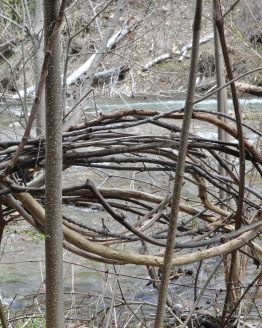  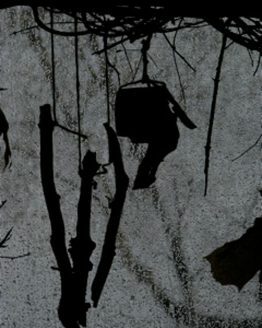 With repeated observation, and returning to the same place, participants’ knowledge of place and that particular ecosystem builds up. 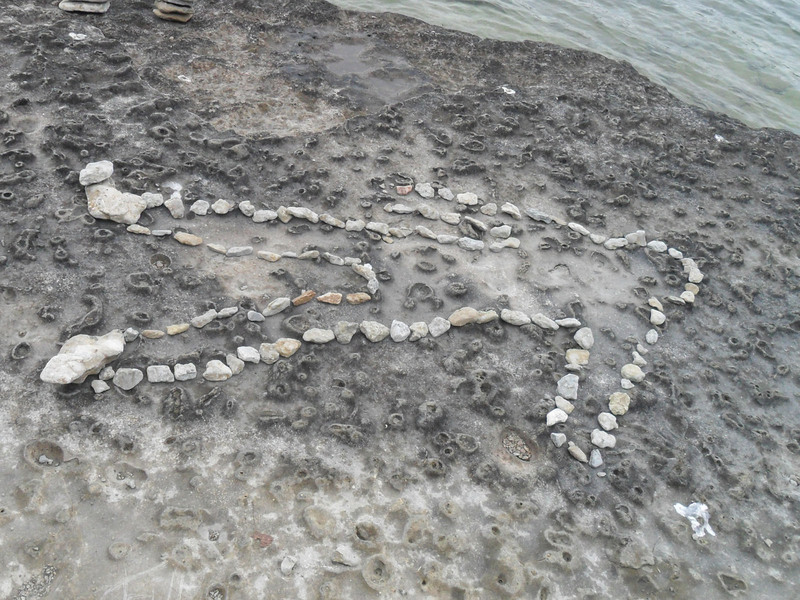 And it’s done through art, through a creative challenge. 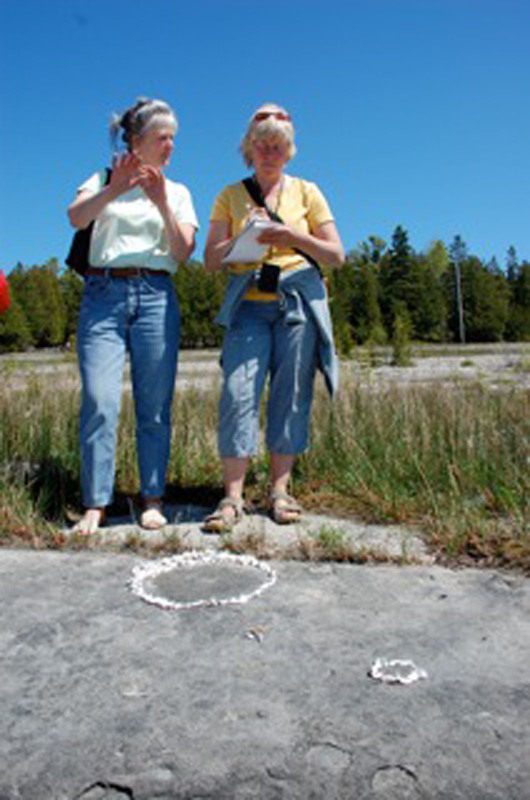 Rather than directing someone to conduct a formal field study, the learning is integrated in a different way, hands on. 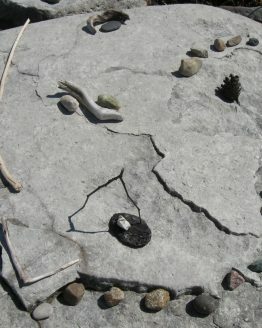 All of the artwork and experiences build a story about that place, and tell stories about our own relationships and experiences to it. 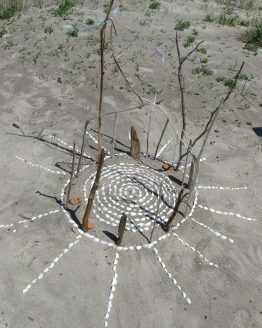 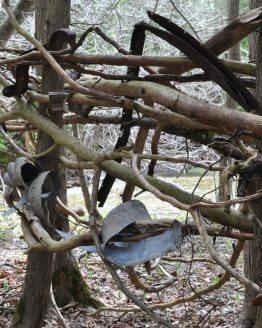 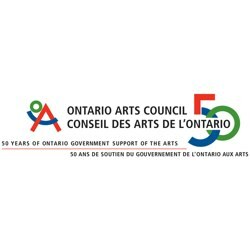 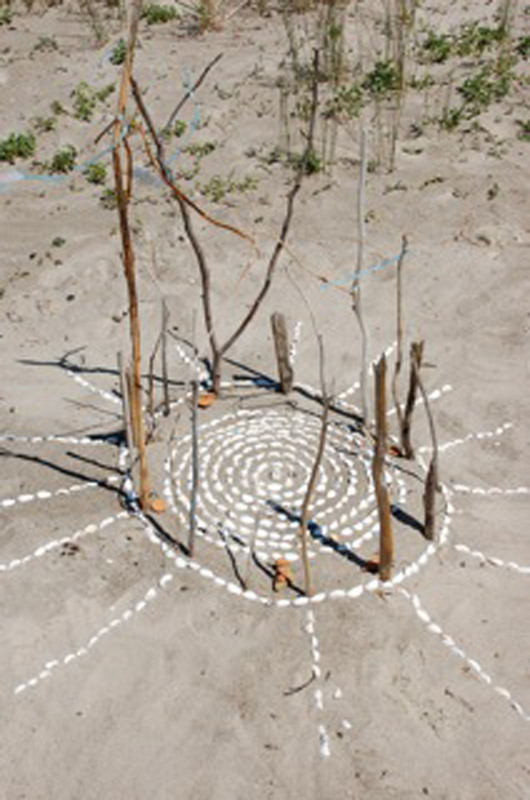 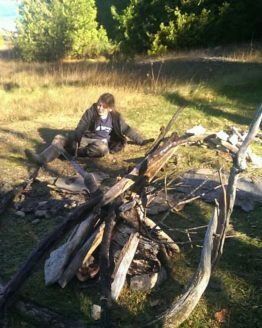 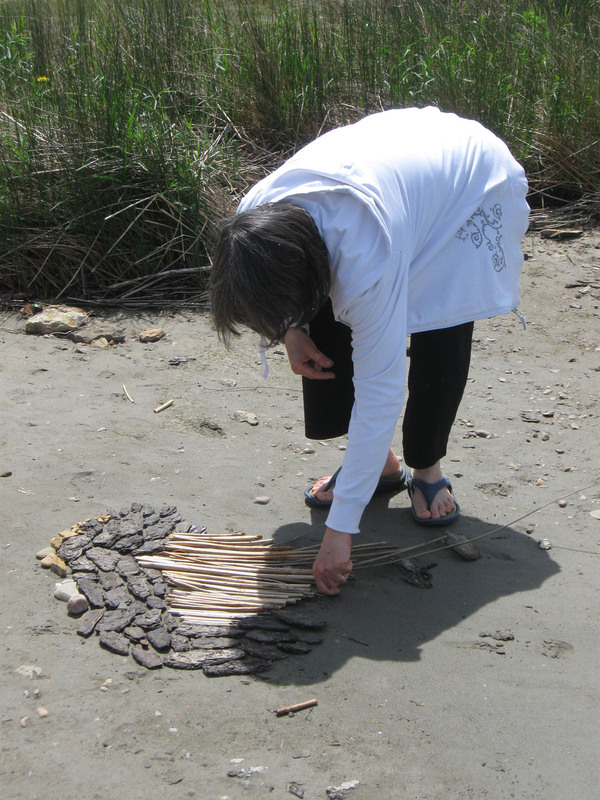 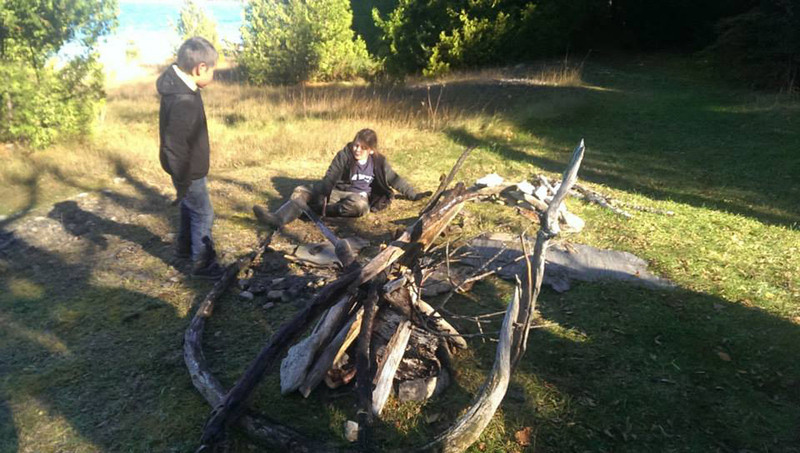 Land art workshops are sometimes opportunities through which participants are invited to think about and create works that reflect their lives, their hopes, their experiences in life, and their relationship to the land. 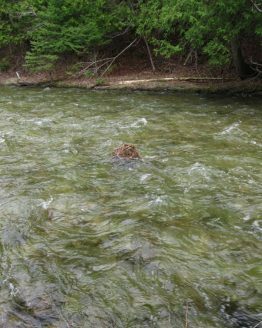 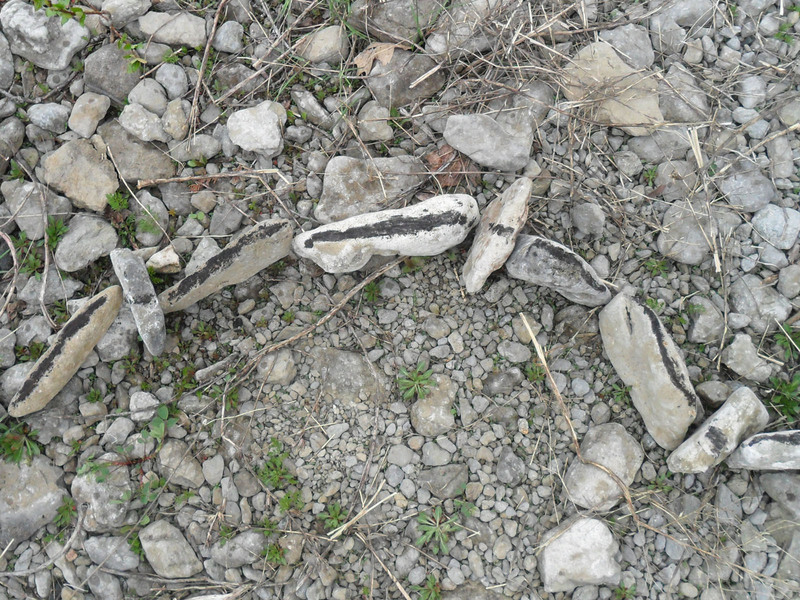 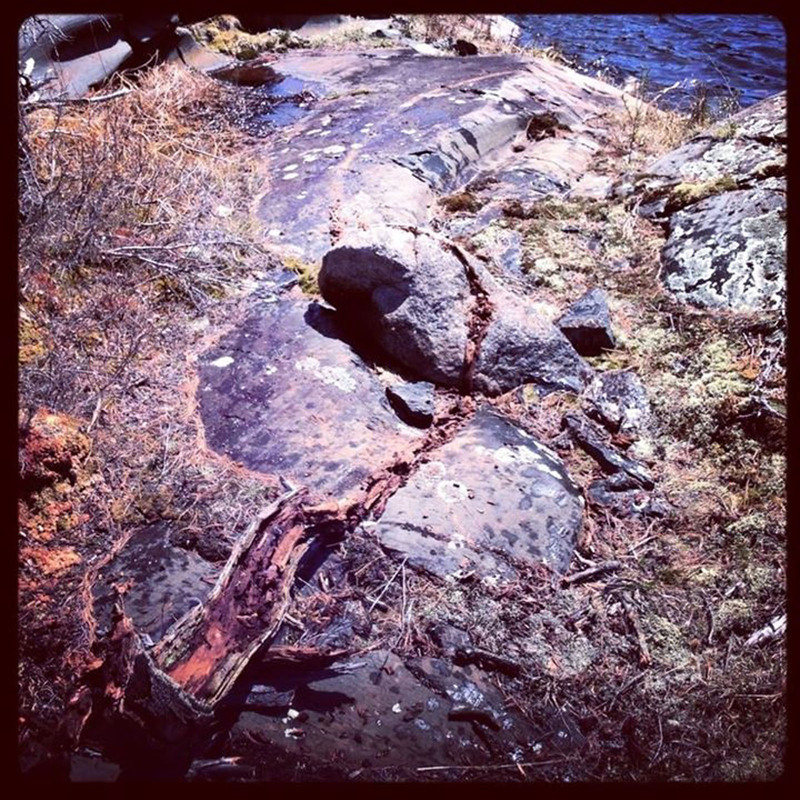 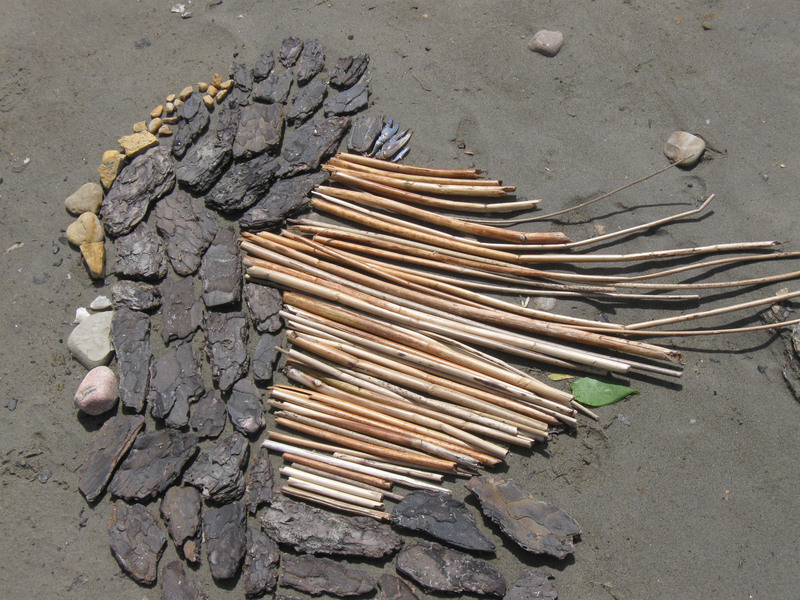 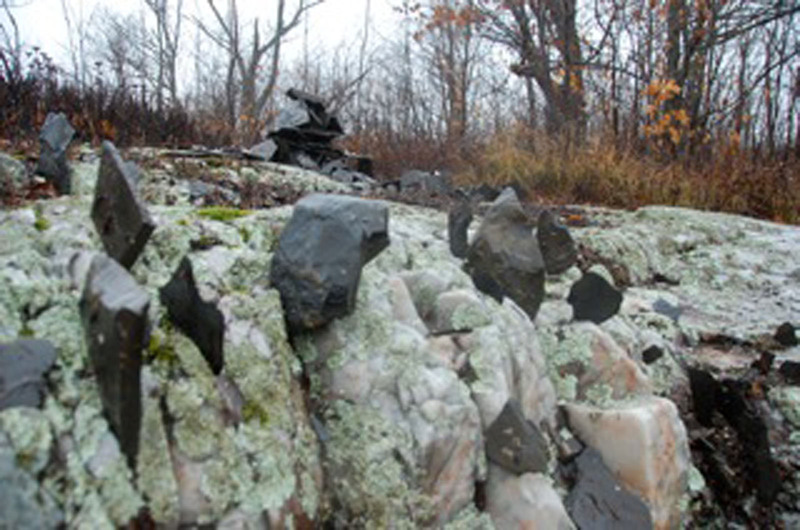 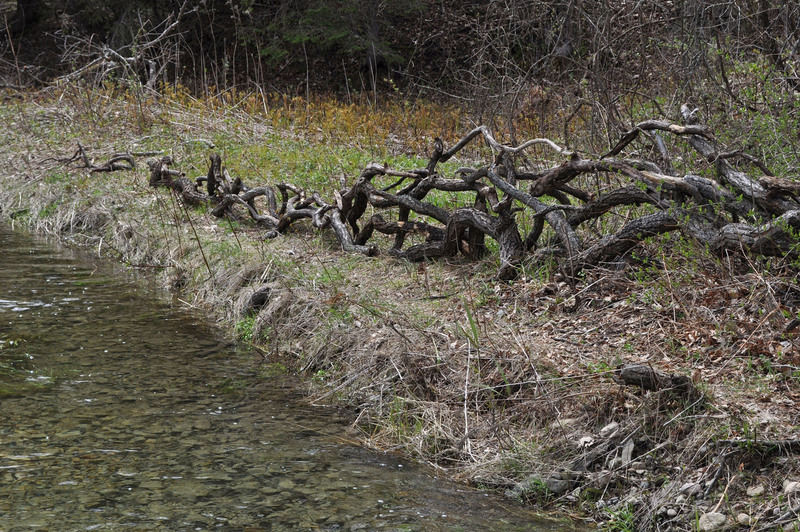 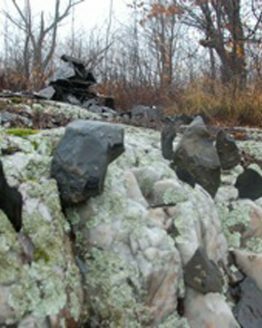 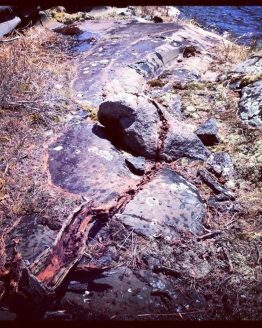 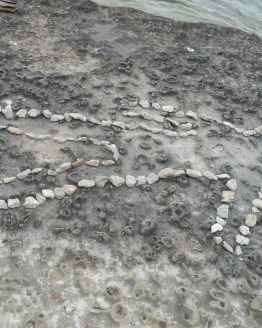 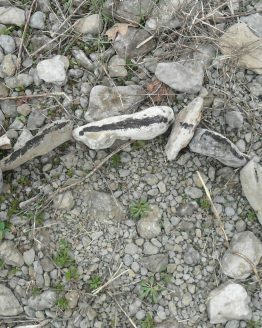 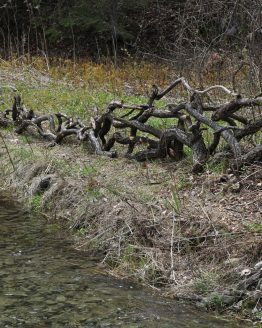 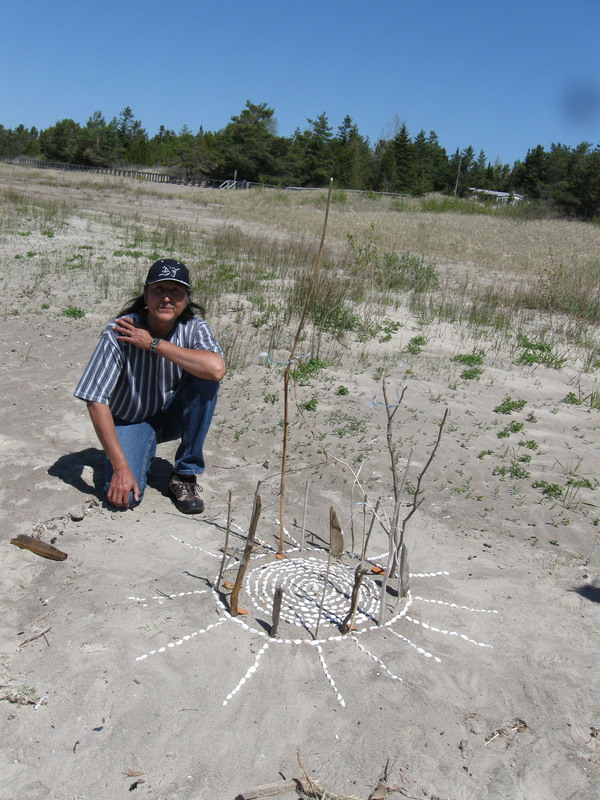 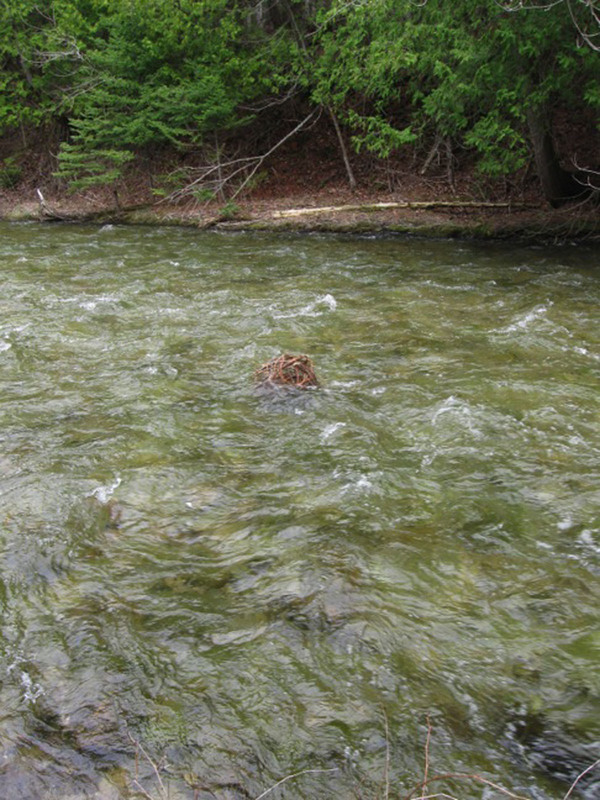 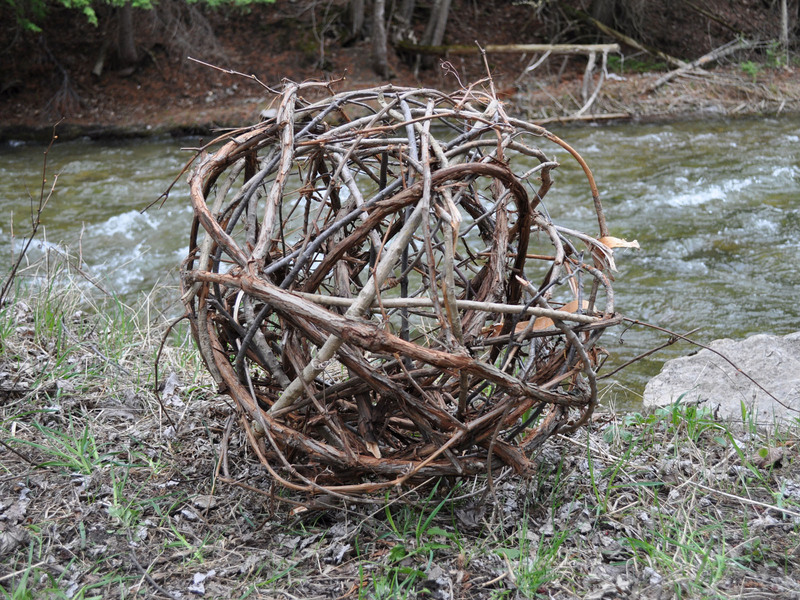 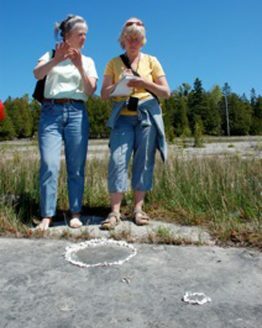 When we started doing land art on Manitoulin twelve years ago, most people had no idea what we were talking about. 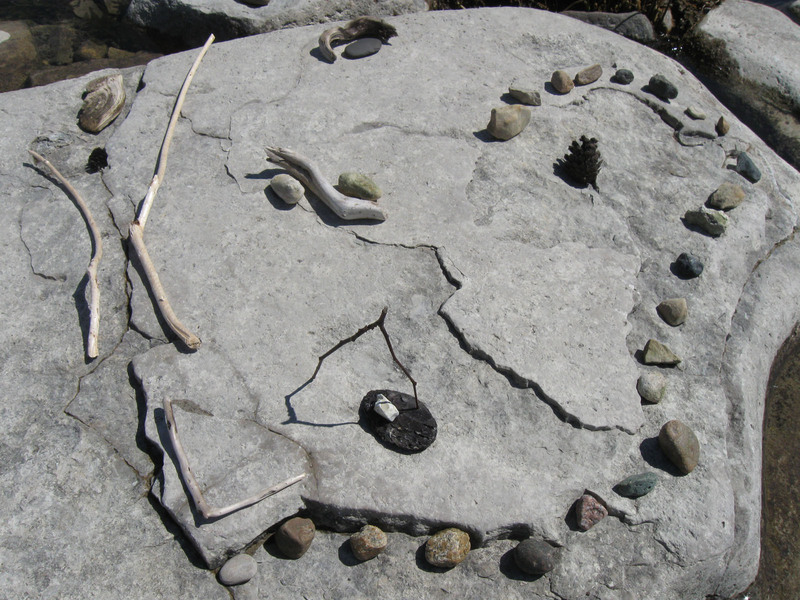  Now ‘land art’ is a term we often hear on the Island; people make their own work and send us images of what they’ve done; other groups are inviting participants to create land art; and land artists, like Andy Goldsworthy are now better known here.